Handpicked beauty products, chosen every campaign to let you sample something new or check out an inspired color statement. What a great way to expand your beauty “wardrobe” at a great price. A new “A” box comes out every brochure and is ONLY $10 with any $40 Brochure Purchase. 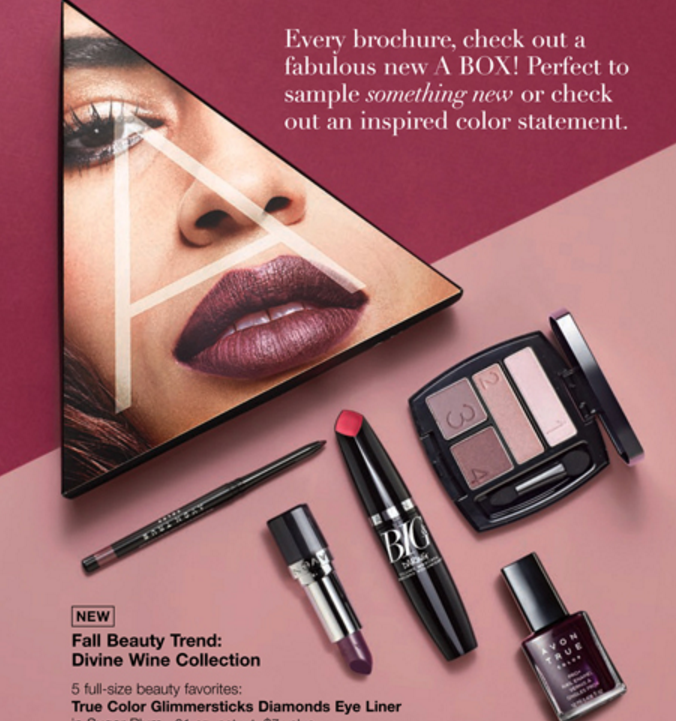 Be sure to check out all the other colors available in the latest Avon Brochure. You are sure to be able to find the perfect color collection for your every wardrobe choice. Don’t forget the basis of beauty and check out the skin care lines to give you the perfect palette for your color. Click Here For More Information about becoming an Avon Representative or to start your Avon Business Now! !